Whoops! Maybe you were looking for Hypocrites? Hippocrates are crates used to store hippopatamouses, or however you spell that. 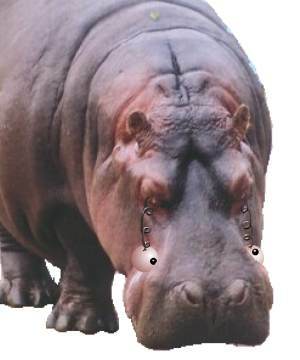 They are usually used in the winter months when hippos are not needed at zoos due to decreased attendance. Thanks to the legendary resiliance of hippopototoaomaomosdkfjo hippos, they are able to remain in these special crates in a state of hibernation for long periods of time. Hippos are also crated when being transported from zoo to zoo, or between Michael Jackson's mansions. Hippocrates are usually constructed of balsa wood. They were originally constructed from poached elephant tusk, but that was frowned upon by the general community. When unused, Hippocrates should be stored in a cool, dry place, with plenty of heat and moisture, and with a TV to watch in case it gets bored. Argos sells special Hippocrate crates for keeping Hippocrates in. Don't look in the catalogue under Hippocrate crates or just crates, though; Argos lists them under Craters and they appear just below Herschel Crater. Hippocrates were originally used by ancient African civilizations, as part of a lost era of history known as the "animal storage period". Paleontologists have discovered many ancient animal storage bins, including one the size of a parking garage that presumable contained a blue whale. The animal storage period was only one in a series of "Pointless Eras", or periods in history in which people did strange things for no known reason. It began with the animal storage period, then went on to the doing handstands and making guttural moans period, and finally culminated with the Great Stamp Collecting War.